As I watched the Hollywood blockbuster Suffragettes I realized the importance of writing. I may meekly advocate for change with a keyboard but my cause is worthy – equality for the differently-abled with recognition and support for their carers. The suffragette movement of the early 20th Century highlighted to me that advocacy is never easy, achievements are hard-fought and slowly won. These heroines in history empowered me. My lifestyle and freedom of speech was born of their campaign. Bravely the suffragettes prioritized the equality of women with their commitment to agitate for political change. Women rallied. Even when imprisoned these female activists continued their protest with hunger strikes. Working mothers put themselves, their families and their lives at risk in their quest for equality. The gender equality battle has ensured my daughters and I have rights which we utilize everyday as opportunity and choice. The opportunity to follow our interests and passions. The choice to study any subject including historically male arenas like engineering. Women can work alongside their male counterparts in industry, business and in the services (The Army, Navy and Air Force) and as Fire Fighters. Women have come to the fore to make a difference in our 21st Century society because of the suffragette movement. Suffragettes stood up for equality so that nowadays engineers, architects, lawyers, doctors, politicians, police and fighting front-line service personnel’s gender are unremarkable. So I am inspired to pursue balanced objectivity for the differently-abled and to promote carers welfare so that their equality becomes unremarkable too. I have the freedom to advocate for people with disabilities because the suffragettes succeeded, giving me political equality. I don’t feel particularly brazen as an advocate and I am not inclined to chain myself to Parliaments railing but I will write for change. Disability, illness and caring are natural in life so should be accommodated within society. Human goals and ambitions; physical, emotional, social and economic are more similar than different. Disability doesn’t alter people’s basic desires so it shouldn’t alter our attitudes or bias our opinions towards their opportunities and choices. Carers should not be disadvantaged because they have added responsibilities. In 10 years I hope our children will look back in astonishment that people with disability suffered discrimination and suffered the stigma of society’s bias. I write also to address carers struggle in the workforce due to the multiple dimension of the demands they undertake. Guidelines are needed to facilitate and protect carers equality with workplace accommodations and flexibility. I promote the visualisation that we are one world with people, all differently-abled people. I only have words but I hope to be a persistent drop in the great ocean of change as I raise awareness and advocate with a pen. Until there is no variance in the opportunities and choices for differently-abled people. 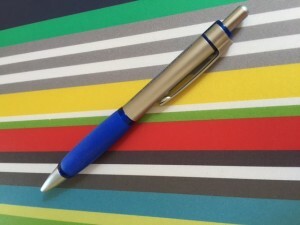 I will take up my pen…writing for change, writing for an inclusive, tolerant society. The Importance of Writing = Change! This entry was posted in Advocating Ability, Carers and tagged Advocacy, Change, Importance of writing, Suffragettes and change by everydaycarer. Bookmark the permalink.